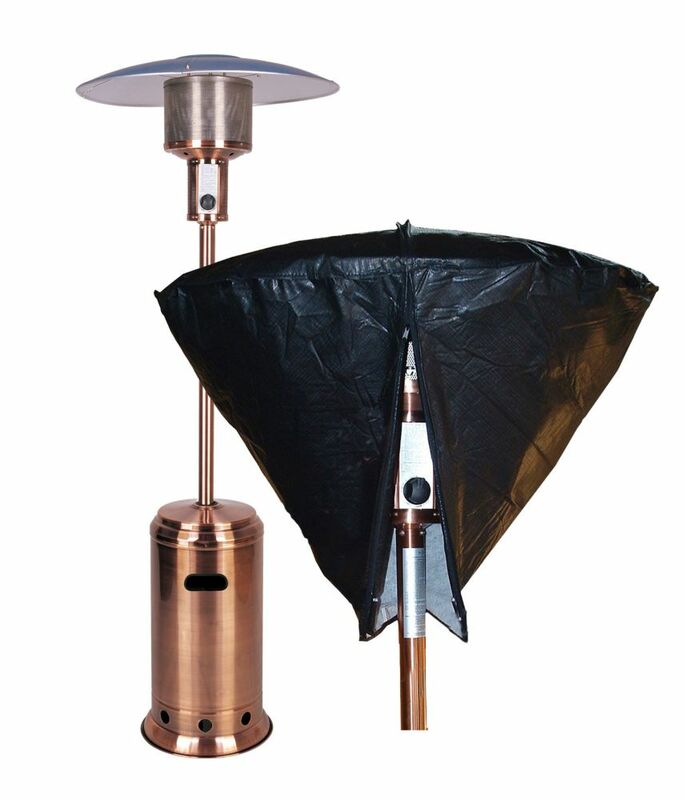 Fits any LPG heater with up to 35" reflector hood. Protects the head of your patio heater from the elements. Super strong, lightweight and soft, protect furniture from rain, dirt, ice and snow. Tough, durable Gator Weave furniture covers are made from our exclusively designed fabric that are both durable and breathable, water resistant and will not crack or peel like vinyl. Gator Weave covers are also soft so they will not scratch your furniture and features a spring-loaded cinch that locks to keep the covers snug on your furniture all winter long. Our covers come in a neutral champagne colour to attractively match your patio area. Each cover comes with its own storage pouch for easy spring storage. Gardelle protective fabric system offers beauty on the outside and protection on the inside. Features a fabric top with a water repellent and water resistant inside coating. Click-close strap locks around the legs to secure your cover on windy days. Fits rectangular ottoman or side table, 32-inch x 22-inch. Outdoor Vinyl Patio Heater Head Cover Protect your investment. From Patio Heaters to Fire Pits, Paramount Vinyl Covers have you covered! These water resistant vinyl covers offer protection from the elements. For longest life, it is recommended to always store your outdoor heating units in a shed or garage during winter months when the units are not in use as some parts are more susceptible to damage due to extreme cold.